A deputy Chairman of the Electoral Commission (EC), Mr Amadu Sulley, has stated that the Inter-Party Advisory Committee (IPAC) has no legal backing. He said the main function of IPAC was to deliberate, share ideas and advise on electoral matters. According to him, the decisions of IPAC were not binding on the EC but the Commission took the IPAC's deliberations seriously, since they could be a collective search for a transparent electoral system. Mr Sulley said this during a four-day meeting between Ugandan political parties with representatives in parliament and their Ghanaian counterparts in Accra. The programme, which was on the theme: "The role of Ghanaian Political Parties in Shaping and Influencing the National Agenda - Lessons from Ghana," was under the sponsorship of the Institute of Economic Affairs (IEA) and the Netherlands Institute of Multi-Party Democracy. Mr Sulley said whenever there was an issue and a consensus emerged from the dialogue and it was reasonable, practicable and lawful the EC gave it the serious consideration it deserved. He said the IPAC was made up of representatives of all registered political parties and the EC and it was structured in such a way that there were Regional Inter-Party Advisory Committees (RIPAC) and District Inter-Party Advisory Committees (DIPAC). Mr Sulley said the regional and district committees were made up of the registered political parties in the regions and the districts with all their meetings being chaired by the EC officers. He said the meetings of IPAC in an election year were normally held once every month at the offices of the EC and the meetings were attended by representatives of all the registered political parties. Mr Sulley said IPAC meetings were chaired by the chairman of the EC and in his absence, his position was taken by one of the two deputies. A visiting Senior Fellow of the IEA, Brigadier General Francis A. Agyemfra (Retd), said the institute had contributed greatly to qualitatively improve the nature of Ghana's democracy and this had led to stability. He said this stability was traceable to healthy inter-party relations developed through the medium of the Institute of Economic Affairs/Netherlands Institute of Multi-Party Democracy (IEA/NIMD), Ghana Political Parties Programme and the IPAC, which had led to a peaceful coexistence among people of diverse ethnic and religious beliefs and backgrounds. 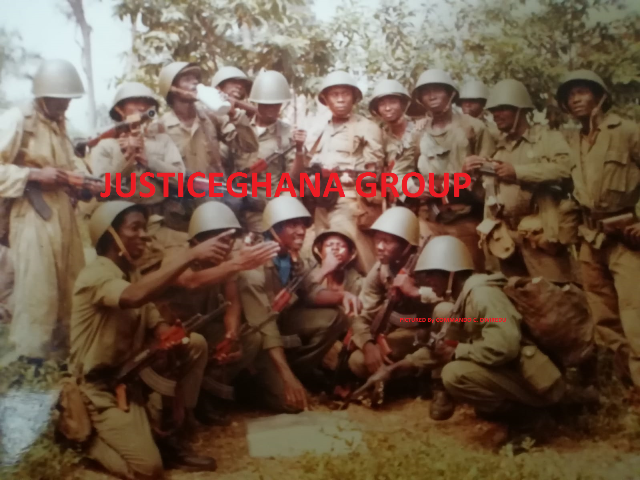 Brigadier General Agyemfra said Ghana had now found a vehicle for building the necessary institutional capacity, inter-party engagement and the needed personal network that would enable her to consign past rancour, bitterness, divisiveness, suspicion, hatred and acrimony, as well as extreme partisanship, to the dustbin of history. He said political parties were increasingly realizing that neither a single party nor a single government could do it almost alone. "Therefore, whatever their party affiliation, whatever the colour of their party symbol and whatever their ideology, they have a collective responsibility to work together in the national interest in raising the standard of living and quality of life of all Ghanaians. "When Ghana prospers, we all prosper," he said.